How easy is this chicken chili? It’s so easy, you’ll be eating chicken chili faster than you’d be eating if you picked up dinner at a fast food drive-thru. Don’t believe me? Set your stopwatch, and let’s get started! It’s springtime, you’re busy, and the fussiness of holiday meals is behind you for a while. Spring is the perfect time of year to pull out your slow cooker and make a few easy, hearty, delicious dinners. 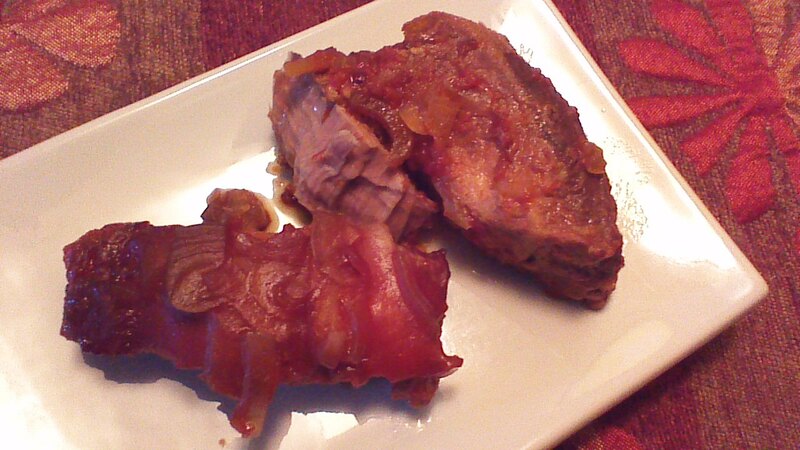 Drunken Spare Ribs are perfect busy day fare. You can throw everything in the slow cooker in less than five minutes on a busy morning, and have a hot, delicious meal waiting for you at the end of the day. Enjoy! Whether you’re nursing a winter cold or simply trying to avoid one, BBQ Potato Soup makes a lovely lunch or simple supper. This soup is delicious all by itself, but if you’d like to dress it up a bit, try sprinkling with sharp cheddar cheese and pairing with crusty French bread. Happy Winter! 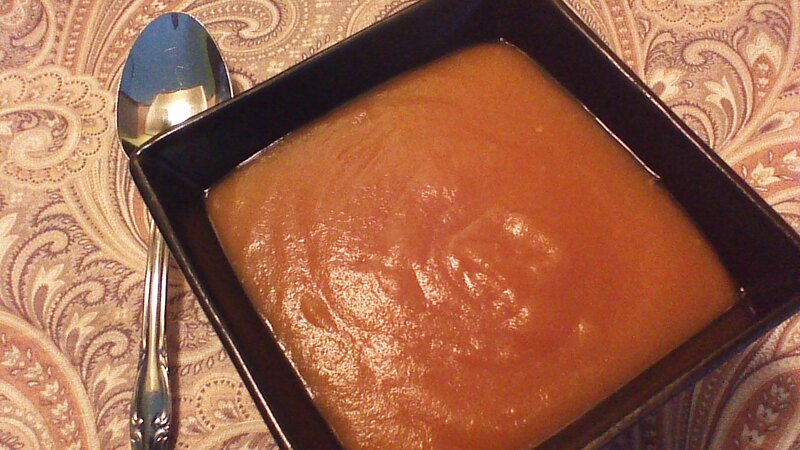 Step 1) Combine onion, potato, and stock in a medium size pot. Bring to a boil and reduce heat to a low simmer. 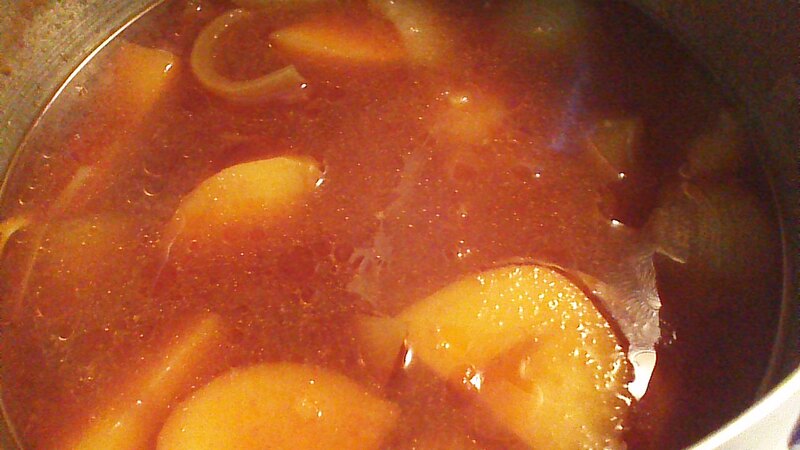 Cover and simmer until potatoes are very tender, approximately 20 minutes. Step 2) Remove from heat, remove cover, and allow to cool for five minutes. Step 3) Add remaining ingredients to the pot and carefully puree with an immersion blender. Serve immediately. 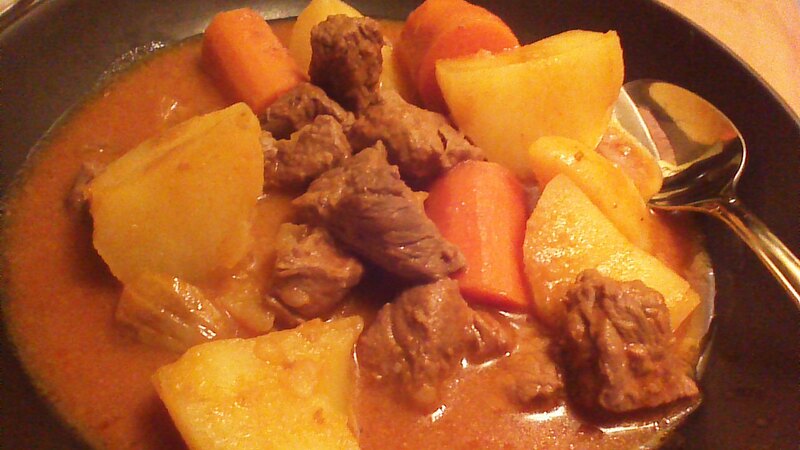 A bubbling pot of beef stew on the stove has a way of settling people at the end of a busy day. November’s cold air and brisk wind can feel refreshing in small doses, but can make a person feel like hibernating by the end of the day! I start beef stew in mid-afternoon, so that the earthy aroma fills the house by the time others arrive from work and school. I enjoy watching my loved ones peel off coats and scarves, rub cold hands together, and sniff the air with wind-nipped noses. Invariably, they smile. That’s well worth a few minutes of prep time! 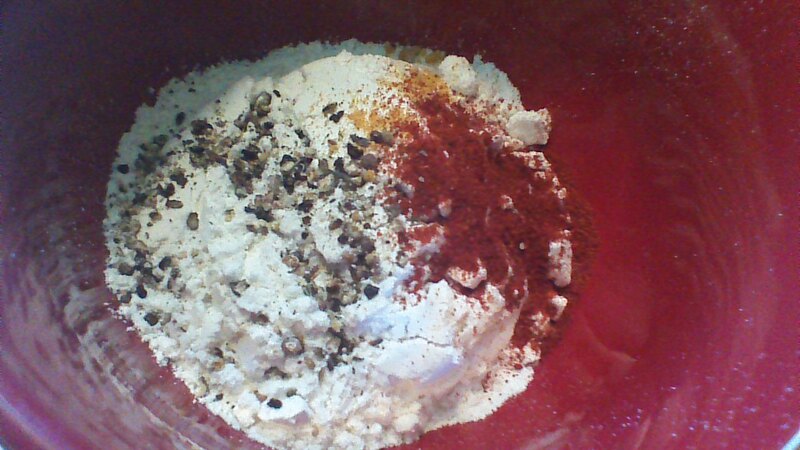 Step 1) Combine flour, nutmeg, paprika, and black pepper. 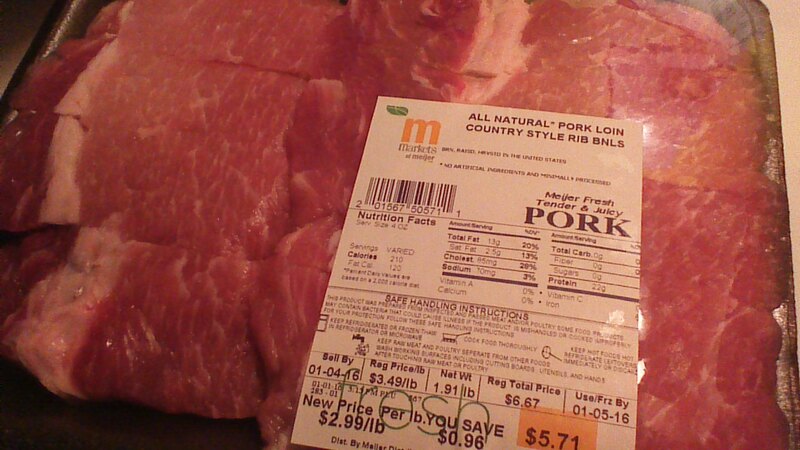 Add to a plastic bag (such as a disposable grocery bag) with the beef, and shake gently to coat the beef. Step 2) Working in two batches, add half of the oil to a large stockpot on medium-high heat. Add half of the beef and brown with stirring for 3 – 5 minutes. Remove beef with a slotted spoon and set aside. Prepare the other half of the beef in the same way. Remove all of the beef and set aside, but don’t wash the stockpot! 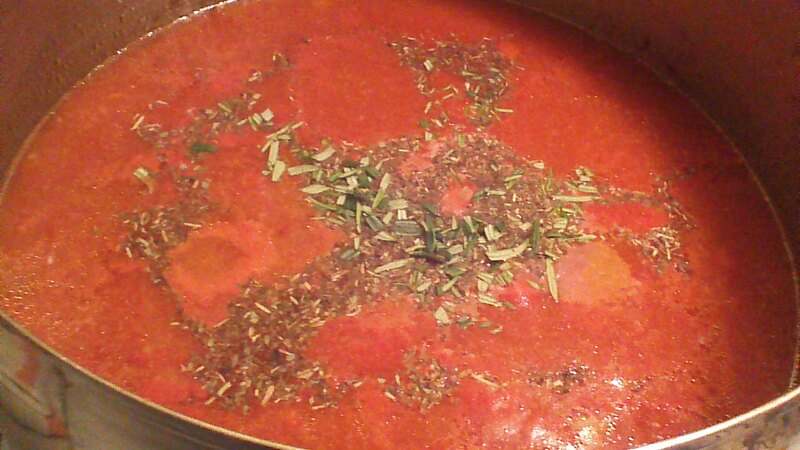 Step 3) To the same stockpot, add vegetable juice, water, and Herbes de Provence. Bring to a boil. 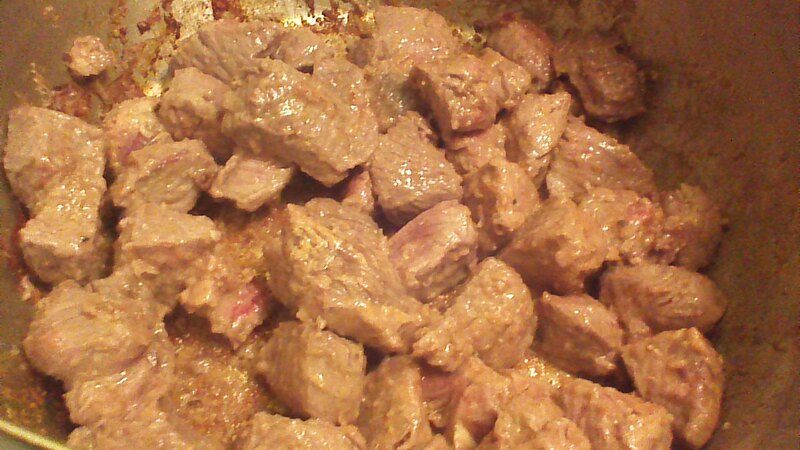 Add beef, stir, and reduce heat to simmer (covered) for one hour. Step 4) After one hour, add 8 cups of vegetables as well as the fresh rosemary. Simmer, uncovered, for approximately 1 hour or until vegetables are fork tender. Stir occasionally to prevent sticking at the bottom of the pot. If mixture becomes too thick, add water or vegetable juice 1/4 cup at a time. Step 5) Serve hot with crusty bread or wide noodles. Enjoy!